Keeping your home comfortable and healthy is important for any homeowner. We do a lot to make our home a place of relaxation and refreshment. We buy comfort food for weekend treats, warm fluffy blankets for cold evenings in the lounge and we have entertainment set-up to unwind completely after a day of hard work. Did you ever consider installing Aluminium Fly Screen Doors to contribute to your comfort and health? Here are the features and benefits to installing these gems. Aluminium fly screen doors can be purchased as either a roller screen door to form part of an existing door temporarily, a solid hinged door to fit onto an existing door or a solid slider door screen. Your needs, preferences and existing doors will determine which one should be installed. The same benefits can be enjoyed no matter which door you choose. Roller screen doors can be conveniently packed away when it’s not used. Control handles get used to manually open or close this fly screen. Sliding tracks are installed on the floor and on the top frame of the door to ensure the door opens or closes smoothly. They are installed directly on the existing door frame or retractable doors. Installation can also be done onto existing security gates. Solid hinged door screens are light or medium weight applications that have a rigid frame with two mid-rails for strength. It has a magnetised lock to secure the screen onto the existing door frame. The solid slider door screens are custom made for sliding doors. This fly screen door can be installed on the inside or outside of an existing frame and are available in single or double doors. It has both headrails and bottom tracks. Fly screen doors prevent the entry of insects and dust without hindering natural light or fresh air. When trying to keep your home hygienically clean and insect free, the use of insecticides is counterproductive. Aluminium Fly Screen Doors are the natural way of keeping insects from carrying germs into your home. Natural ventilation is also better than air-conditioning. Stylish fly screen doors don’t only keep unwanted insects out, they also keep animals and kids inside or out without losing visibility of them. 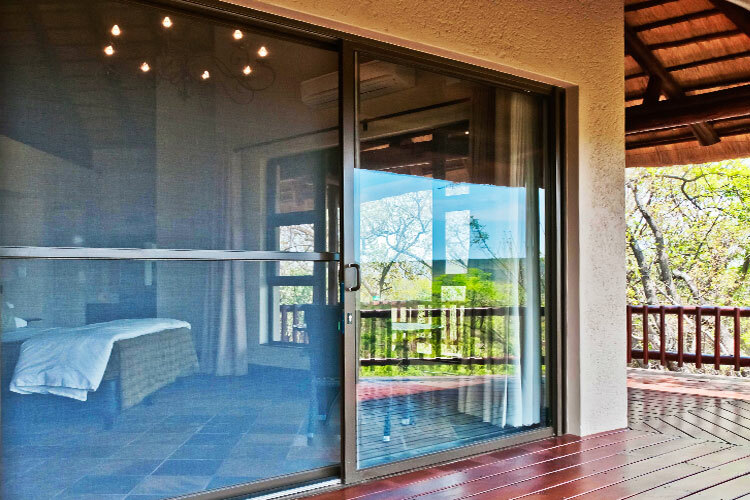 Overall Aluminium Fly Screen Doors allow for a better quality of life as it adds to your comfort and health. This entry was posted in Flyscreens and tagged Aluminium fly screen, fly screen, fly screens, House of Supreme.